Our rust programming tutorial is illustrated for the beginners and professionals. 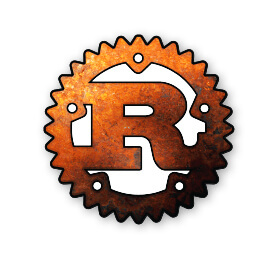 Rust programming language is designed to provide better memory safety, but it is still under the maintenance process. Rust is a system programming language developed by a Mozilla employee "Graydon Hoare" in 2006. He described this language as a "safe, concurrent and practical language" that supports the functional and imperative paradigm. The syntax of rust is similar to the C++ language. Rust is free and open source software, i.e., anyone can use the software freely, and the source code is openly shared so that the people can also improve the design of the software. Rust is declared as one of the "most loved programming language" in the stack overflow developer survey in 2016, 2017 and 2018. There is no direct memory management like calloc or malloc. It means, the memory is managed internally by Rust. Rust language is ideal for many people for many reasons. Team of developers: Rust proves to be quite useful for the "team of developers". Low- level programming code contains bugs which need extensive testing by the testers. However, in case of Rust, compiler refuses to compile the code if the program contains bugs. By working parallel to the compiler, the developer can focus on the program's logic rather than focusing on the bugs. Students: Using Rust, many people can learn how to develop the operating system. The Rust team is trying to make the system concepts more accessible to the ordinary people, especially for those who are new to the programming. Companies: Large or small companies use Rust to accomplish various tasks. These tasks include command line tools, web services, DevOps tooling, embedded devices, audio, and video analysis and transcoding, cryptocurrencies, bioinformatics, search engines, Internet of Things applications, machine learning, and even significant parts of the Firefox web browser. Open source developers: Rust is an open source language means that the source code is available to the people. Therefore, they can use the source code to improve the design of Rust. Rust guarantees memory safety without using the garbage collector. By avoiding garbage collector, Rust offers numerous benefits such as cleanup of resources and no overhead of memory management. Rust avoids the use of garbage collector through the system of ownership and borrowing. Before learning Rust, you must have the basic knowledge of C++. Our Rust tutorial is designed to help beginners and professionals. We assure that you will not find any problem in this Rust tutorial. But if there is any mistake, please post the problem in contact form.